Chicken also notes that many of the songs on African Elephants were written and sung by guitarist Nathan Grice, and that the band intends to tour extensively as a three-piece in the future. They have a show tomorrow, August 1, at 924 Gilman in Berkeley, CA and will be appearing at The Fest 8 in Gainesville, FL over Halloween weekend. A new song from African Elephants entitled “Modern Muse” can be heard at Dead To Me’s MySpace page. The record is expected out at the end of October and will follow up 2008’s Little Brother EP, which is currently streaming at their Punknews.org page. No Harm Done are on the road right now supporting their 2008 Think Fast! Records album, Escape We’ve got five copies of the album to give away. Say Anything have set a release date for their forthcoming self-titled album. The running theme of the record is finding the mental superhero within yourself despite having seen some dark times. After all of the stuff you’ve heard me sing and write about that overtook me for the better part of a decade, I finally found a way to fight back, and this is the story of how. Though it’s hard to describe the quote-un-quote sound, i can try; [It] is akin to Botch forcing themselves on the Beatles. and fathering a strange Larry David-esque midget, who is abandoned due to his freakish nature and adopted by Billy Joe Armstrong. This record is quite a bit more fun than our last record, but still expectedly evil. The record is due out October 13, 2009 and follows 2007’s In Defense of the Genre. Thursday have announced a US headlining tour set to begin on September 18th. The tour will feature The Fall Of Troy, The Dear Hunter, Midnight Masses, Young Widows, La Dispute and others and run till the end of October. 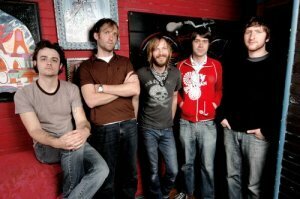 Thursday released their Epitaph Records debut, Common Existence, in 2009. 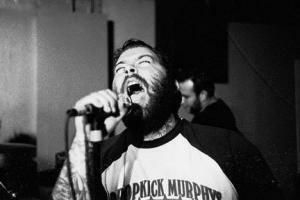 Boston’s Have Nots have have kicked off a US tour in support of their latest album, Serf City USA. To celebrate the tour, the band has also launched a free download of the entire album and you can find that here. Honestly, I don’t often think about the state of ’emo’. The punk scene we came out of and the punk scene now are completely different. It’s like glam rock now. We played the Bamboozle fests this year and we felt really out of place. I could name maybe three bands we played with. It was just a sea of neon shirts to us. If this is the world we helped create, then I apologise. Fugazi is the reason I am in a band today. 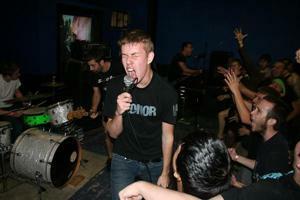 When I was 14 I heard Fugazi and started a band the next day. We grew up on indie rock. Superchunk, Rocket from the Crypt, Sunny Day Real Estate, Cap’n Jazz. That’s the kind of stuff we were listening to when we started. According to a recent tweet, Minus The Bear have begun mixing their new record. The band has been working with Grammy Award-winning producer Joe Chicarelli (My Morning Jacket, The White Stripes) and have financed the recording themselves, with a late fall release anticipated on a to-be-announced label. The band’s previous full-length was 2007’s Planet of Ice, while a seven track acoustic EP, appropriately titled Acoustics, followed in 2008. Motion City Soundtrack has revealed the title of their fourth LP and first for Columbia. According to an interview on MTV News with frontman Justin Pierre and guitarist Joshua Cain – an interview conducted by the album’s producer, Mark Hoppus – the record will be titled My Dinosaur Life. No word yet on a track listing or release date, but we’ll keep you posted. The band last released Even If It Kills Me in 2007. Don Giovanni Records has announced the signing of Black Wine. The band features former The Ergs! guitarist Jeff Schroek, along with Miranda Taylor and J Nixon of Hunchback. The label explained the band’s sound as “a mix of alternative and punk reminiscent of the early days of SST and Sub Pop” and added that the trio will be hitting the studio in the fall to record their debut, with a release expected by year’s end. Weezer recently debuted three new songs at the Jisan Valley Rock Festival in South Korea, presumably from the band’s nearly completed seventh album. The songs are titled “I’m Your Daddy”, “The Girl Got Hot” and “Can’t Stop Partying” and videos of the songs have surfaced. 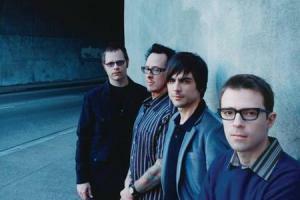 Weezer continues to support 2008’s The Red Album, and is currently on tour with Blink 182 and Fall Out Boy. 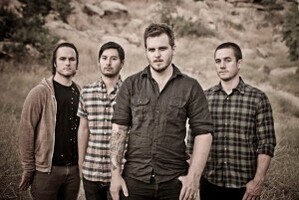 Thrice has posted a new song from their upcoming record, Beggars. In light of its recent leak, the record will be available digitally on August 11, 2009, while the physical release date remains October 13, 2009. The band will be touring behind the record with Brand New in the fall. Check out “All The World is Mad” at the band’s MySpace page. Madison Bloodbath have posted two new songs from their upcoming split 7″ with Anchor Arms, to be released via Kiss of Death in September. 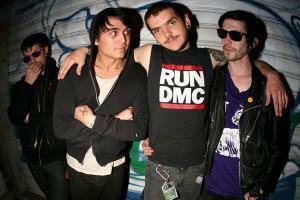 The release will follow up 2008’s Gittin’ Loose, which is currently streaming at the band’s Punknews.org page. Check out “Icebergs” and “If Ifs Were Fists We’d All Be Jacked Up” at the band’s MySpace page.